This story is part of our Travel Nightmares series, featuring helpful tips, hints, and strategies so you can travel stress-free. 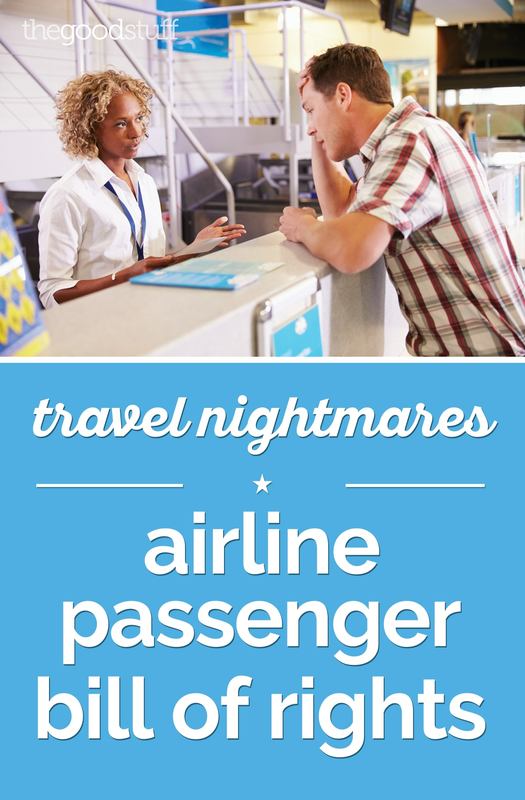 Read our other Travel Nightmares stories here: 10 Free Things Your Hotel Provides, How to Avoid Baggage Fees & Other Costs, What To Do About Flight Cancellations, How to Get the Best Travel Deals, How to Troubleshoot 7 Common Travel Problems, and 6 Resources for Fear of Flying. Bon voyage! Travelers have rights, but it’s hard to stand up for your rights when you don’t know them. And when it comes to travel there’s a lot of gray area that makes it difficult to decipher what you’re entitled to and what’s up to the airlines discretion. 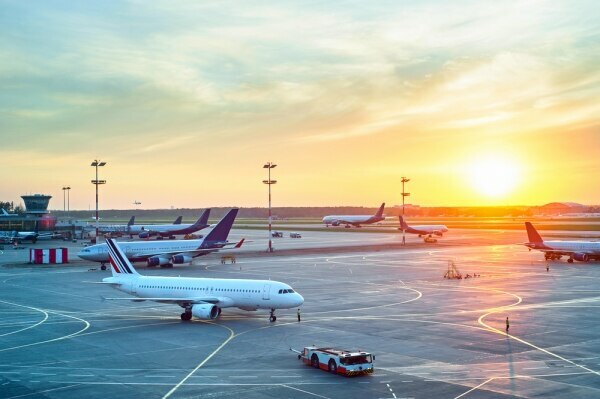 Here’s a quick peek at a few key items from the airline passenger bill of rights, as well as a few things that may not be written in stone but most airlines honor. Are you planning a spring break trip or looking ahead to summer vacation already? Be sure to check for Travelocity promo codes, Kayak coupons, Hotels.com coupons, and Hertz promo codes before you book to make sure you get the best deal available. The Department of Transportation (DOT) requires airlines to maintain and provide on-time performance data. You can find this information by calling or checking the website of these larger airlines. This is worth looking at before you book a trip, especially on regional jets that are more likely to experience cancellation or delays. You can typically find the data for a particular flight by clicking on the flight number or duration. None of us want to be stuck in a situation where our flight has been cancelled, but it happens. It’s best to prepare ahead of time by learning what to do about a flight cancellation — you’ll ease your stress by knowing what steps to take! U.S. airlines operating domestic flights cannot keep passengers in the plane on the tarmac for more than three hours. They must deplane passengers unless it’s a safety or security issue or if air traffic control advises against it. Carriers also must provide snacks and drinking water to passengers within two hours of a tarmac delay. It’s a good idea to have snacks on hand, especially if you have little ones in tow. Instead of spending an arm and a leg on unhealthy airport food, mix up a batch of these TSA-friendly goodies and bring them with! If you’re bumped involuntarily, you’ll be given a written statement with your rights and an explanation of how the airline decided who to bump and who to board. The compensation amount is regulated and determined by the price of your ticket and length of delay. No compensation is owed if you get to your destination within one hour of your originally scheduled arrival. For example, if you’ll arrive at your destination two hours later (or four hours for international flights), you get 400 percent of your one-way fare — a $1,300 maximum. This isn’t a right airlines are obligated to offer, but many do. Most carriers will give you a full refund if you cancel your flight within 24 hours of booking. Others like American Airlines will hold a reservation for 24 hours without payment. Flight prices can fluctuate a lot in 24 hours, so if you find a low fare be sure to confirm the airline’s 24-hour policy and lock in that price while you firm up the rest of your trip. Along with the 24-hour rule, it’s a good idea to check the cost of airport transportation, baggage fees, and other travel costs before you book to make sure you get the best deal. Find out which items Jeanette always checks before she books a trip! Many airlines let employees give away spending money at the airport for emergency purchases when a bag is delayed. The amount will depend on the length of the delay and whether you’re away from home or not. Other airlines ask you to front the costs, save receipts, and submit them for reimbursement. Be aware: Not everything is going to be fully reimbursable. They may only refund you a portion of the cost for replacement clothing, with the assumption that it’s something you’ll be able to use in the future. However, airlines aren’t responsible for packed foods or perishable goods ruined due to a delayed baggage. Baggage fees are one type of travel cost that’s easily avoidable. Find out what the other travel costs are and how to avoid them here! When your luggage has officially been declared lost, the claim process begins. DOT says it typically takes an airline anywhere from four weeks to three months to reimburse for lost luggage. Don’t try to beef up your claim, airlines may deny a claim altogether if they feel it’s inflated or fraudulent. Your refund will likely be based on the depreciated value of items, not the price you originally paid or what it will cost to replace them. Sometimes they may offer you ticket vouchers worth a higher amount than the cash refund. If you have valuables packed, take a photo of the items in your suitcase before you zip it up. Also, hang onto receipts for items you purchased on your trip. Airlines are required to include information on how to file a complaint on their website, e-ticket confirmations, and upon request at the gate or ticket counter. Airlines must acknowledge a written complaint within 30 days and send a response within 60 days.